Callerton Parkway is a station on the Tyne and Wear Metro. The station was opened on the 17th of November, 1991, as part of the extension of the Green Line of the metro to Newcastle Airport. 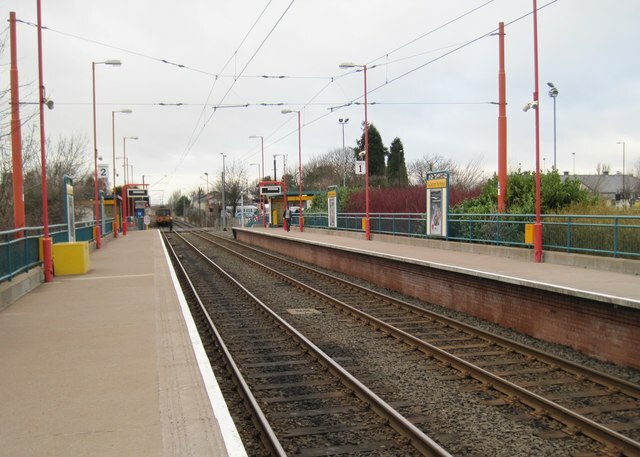 The metro station is close to the site of the former Callerton railway station, which was on the Ponteland and Darras Hall Branch of the North Eastern Railway. The railway station opened in 1905, but was closed to passengers by 1929, due to low numbers of passengers using the station. 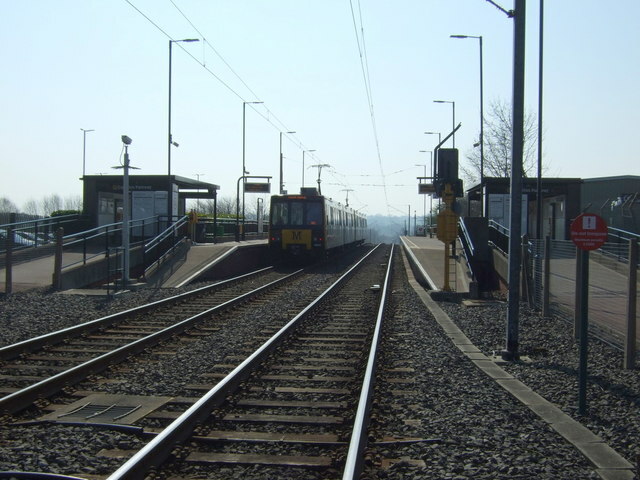 Callerton Parkway Metro station is a parkway station on the Tyne and Wear Metro's Green line, in Newcastle upon Tyne. 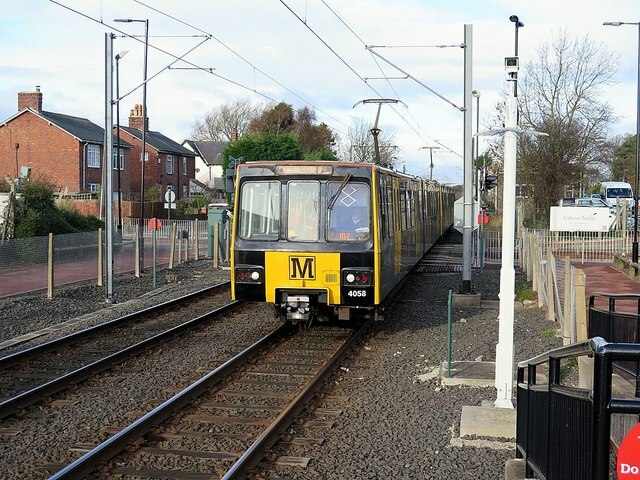 It is unusual in that very few people live in the vicinity of the station and there are no major businesses nearby; instead, the station provides a Metro link for users of the adjacent park and ride car park and airport parking facilities, with Newcastle Airport being just 3 minutes away by Metro. Callerton Parkway is close to the site of Callerton railway station, which lay on the opposite side of the level crossing adjacent to the station. Callerton station was on the Ponteland and Darras Hall Branch of the North Eastern Railway, and consisted of a side platform, simple pitched roof station building and a signal box. It opened on 1 June 1905, but closed to passengers on 17 June 1929 due to lower than expected passenger numbers and competition from bus services; goods services to the station continued until 29 November 1965. By the 1970s, nothing remained of the station, although the tracks through the station remained and saw occasional goods use. The Metro's Airport extension, encompassing both Callerton Parkway and Airport stations, was opened on 17 November 1991, having cost £12 million to construct. Prior to this date the Metro's Green line terminated 1.4 miles to the south-east at Bank Foot, with passengers heading to the airport having to alight there and take the M77 shuttle bus to the airport. 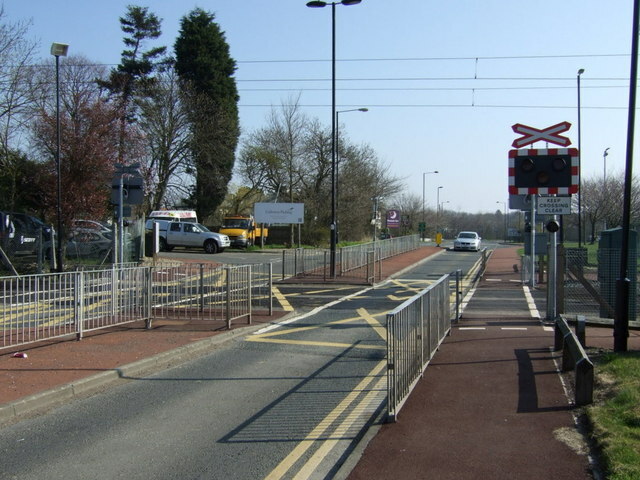 As of 2008, the automatic open level crossing adjacent to the station had been the site of almost half of the road traffic incidents at the five Metro-owned level crossings on the network. 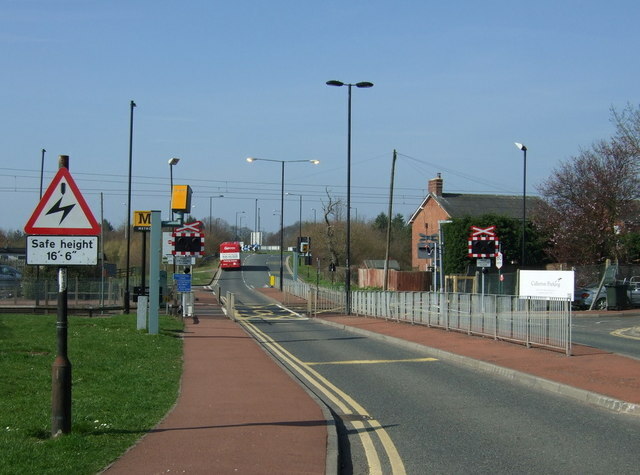 On 16 April 2008, Nexus announced plans to spend £60,000 installing enforcement cameras at the crossing in a bid to reduce the number of motorists who ignore the level crossing's warning lights. The cameras were in place by December 2008, but despite this accidents still occur, with a taxi being hit by a train at the crossing in September 2013. Trains on the Green line towards South Hylton via Newcastle city centre (south-eastbound) and Airport station (north-westbound) serve the station roughly every 12 minutes throughout the day, and every 15 minutes on Sundays. Newcastle city centre can also be reached using the X77, X78 and X79 buses, which run from Darras Hall and stop on Ponteland Road a short walk from the station. A small number of other bus services also stop near the station. Text from Wikipedia, available under the Creative Commons Attribution-ShareAlike License (accessed: 03/12/2017). Visit the page: Callerton Parkway Metro station for references and further details. You can contribute to this article on Wikipedia. 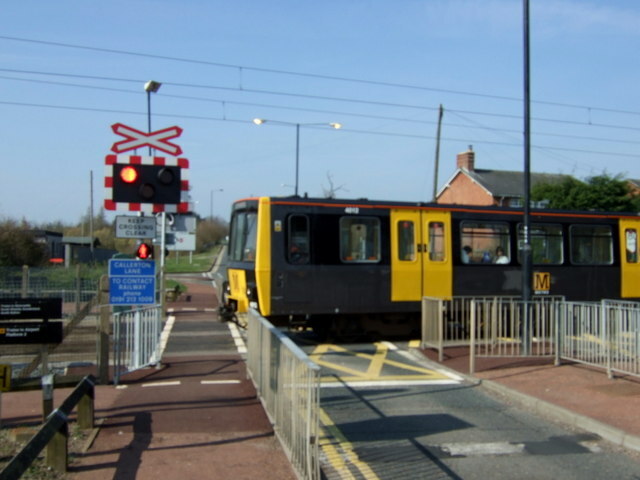 - Callerton Parkway information from Nexus - the company which operates Tyne and Wear Metro.